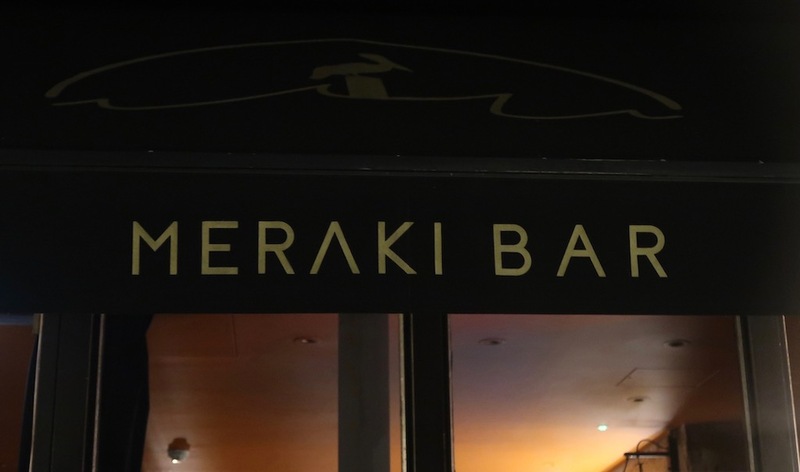 Launched December 2018, Meraki Bar is a hidden ‘living-room’ bar, below (although its main entrance is around the corner) the popular modern Greek restaurant Meraki in Fitzrovia, owned by Peter Waney. 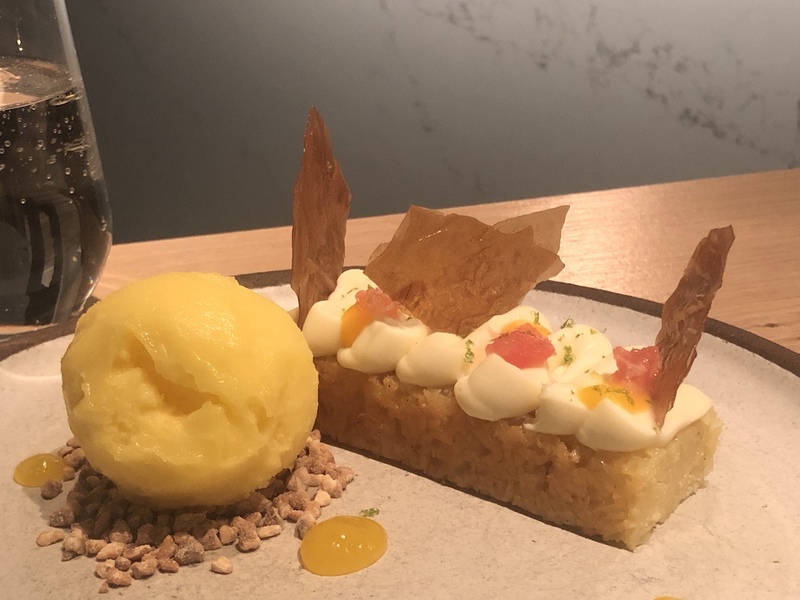 It is the latest addition to a portfolio of world-renowned restaurant brands co-founded by Peter and his brother Arjun Waney that include Zuma, Roka, Coya, La Petite Maison, The Arts Club and Oblix at The Shard. 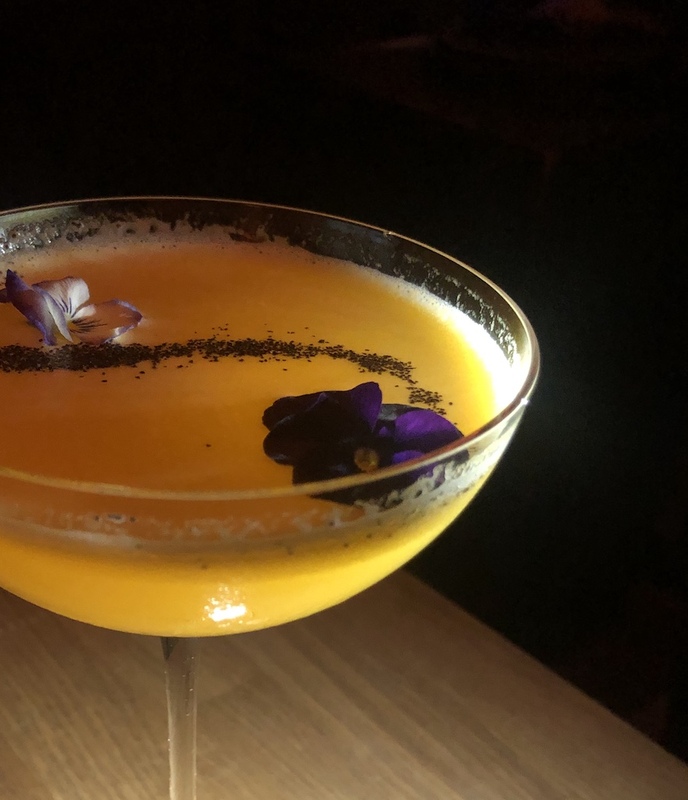 Peter has partnered up with a collective of top international industry veterans including Alain Dona, Adam Bel Hadj and Laurent Manuel to launch Meraki Bar. Together they combine their experience, network and creativity to meticulously create an atmosphere that engages all six senses. Well…who were we to refuse? If you’re invited, pass through a hidden entrance and descend downstairs, to a lovely underworld full of beautiful people, and as the evening draws in you can party to seductive beats with the DJ spinning sleek, deep house to a happy crowd. Just off the main room are the Caves; two private vaults reserved for relaxing, drinking and dining with friends. 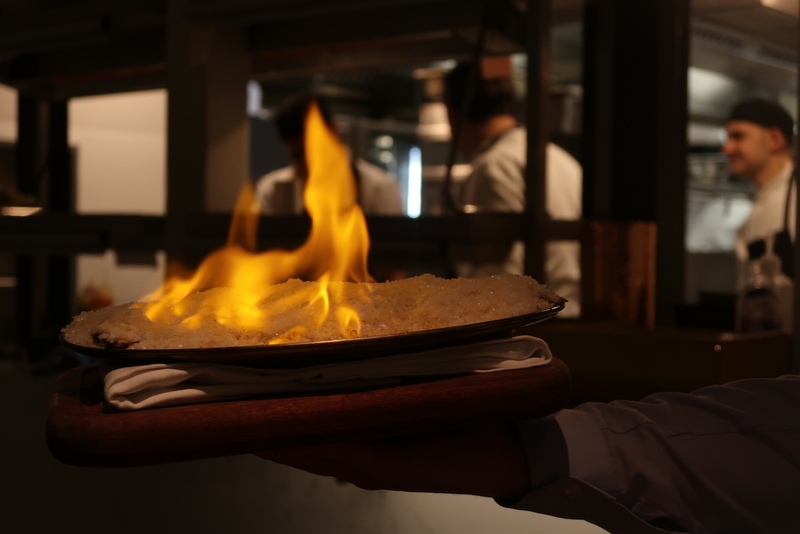 You won’t be disappointed…Upstairs or down, order and share any combination of delicious Greek dishes from Meraki’s world-class menu, which we were delighted to indulge in. An ‘Aside & Melete’ – which verged almost on ‘healthy’, with its fresh taste of spring and a delicious ginger kick, made with Tanqueray NO 20 gin, fresh cucumber, green apple juice, homemade ginger syrup, elderflower cordial, lime & egg. Tanqueray gin, hibiscus, cranberry juice, orgeat and fresh basil. 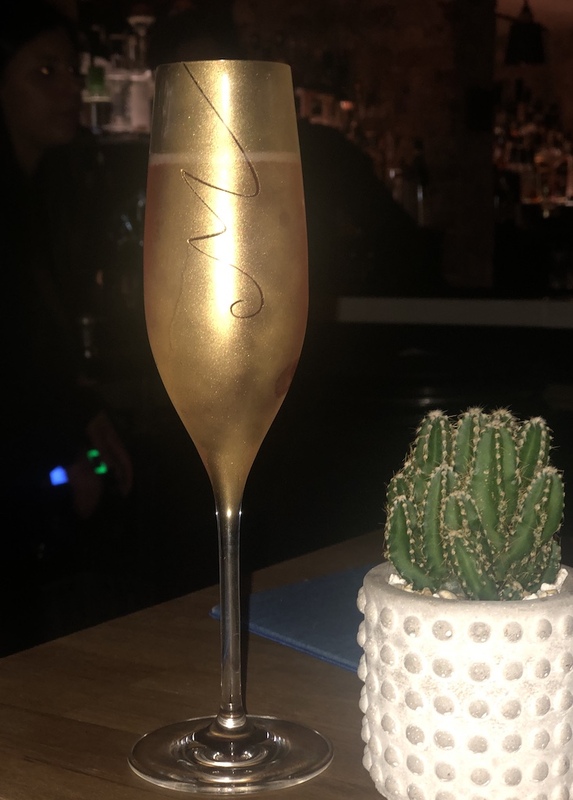 Or perhaps…an elegant ‘Desert Rose Moët & Chandon’: brut champagne rose, lychee & hibiscus cordial, served in a glass flute dusted with Meraki’s signature. We were then brought a selection of appetizing dishes, in what proved to be a true gastronomic odyssey. 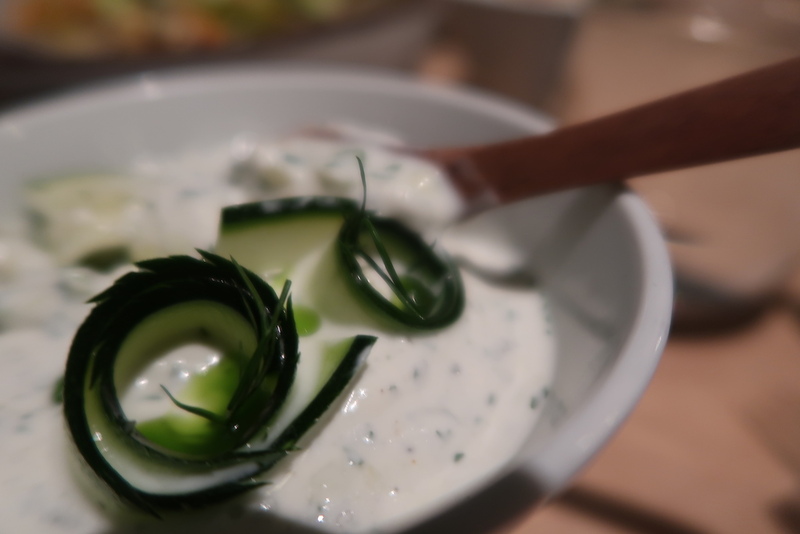 Kicking off with Tzatziki, a creamy yoghurt, garlic, fresh mint – with courgettes rather than cucumber – served with pitta crispbreads. 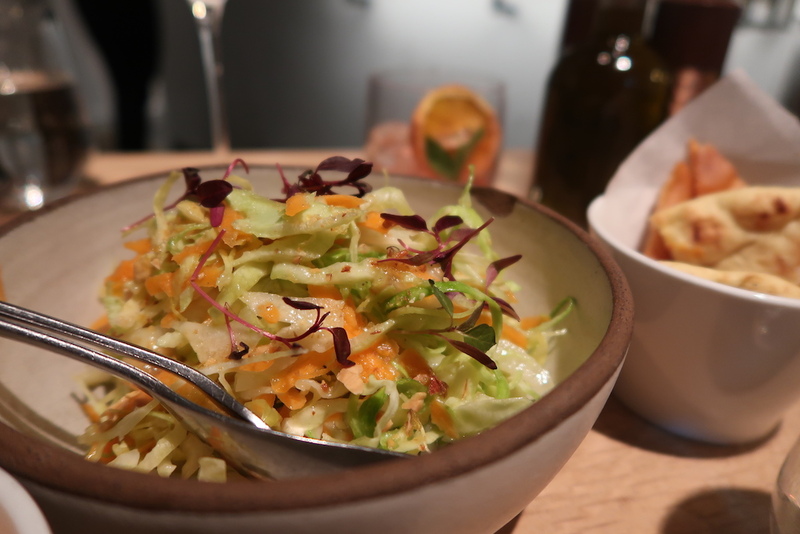 “Politiki” salad (I’m definitely trying this one at home): a colourful bowl of fresh shredded cabbage and carrot, with nuggets of sweet pear and crunchy bites of almond and a citrus tang. 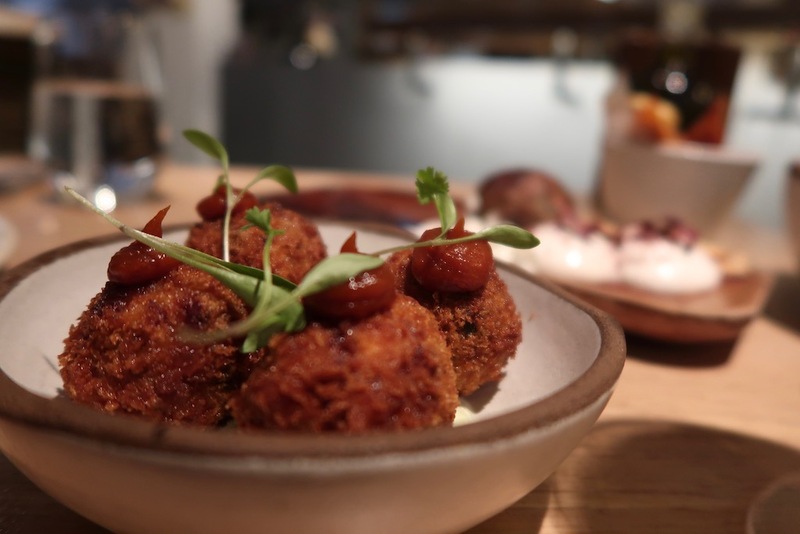 Lamb Croquettes were lightly cooked, crispy on the outside and melt-in-the-mouth on the inside – mildly spiced with a perfect balance of subtle herbs, yoghurt, chimichurri and tomato chutney. 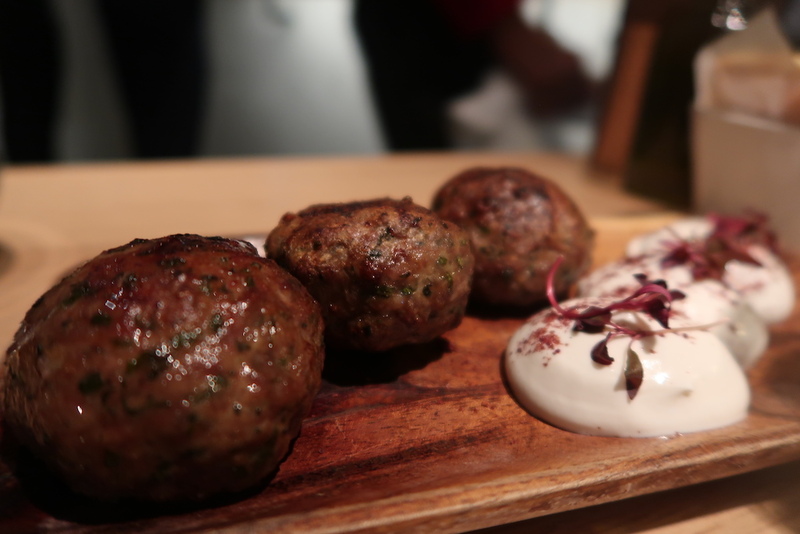 Keftedes were tender, juicy, grilled meatballs complemented by a creamy yoghurt, lemon and tahini sauce. 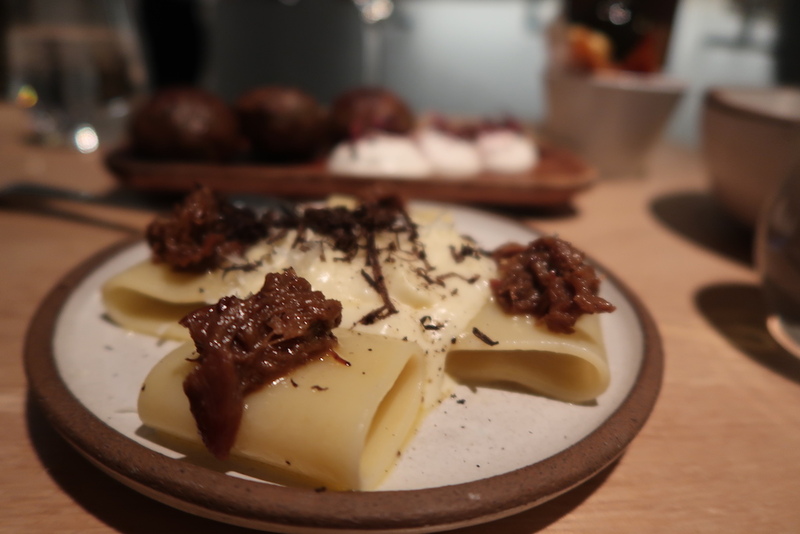 Pastitsio – this was seventh-heaven; thick ribbons of perfectly al-dente paccheri pasta with a rich and hearty oxtail ragu, drizzled with a light and frothy graviera cheese mornay sauce, topped with truffles. 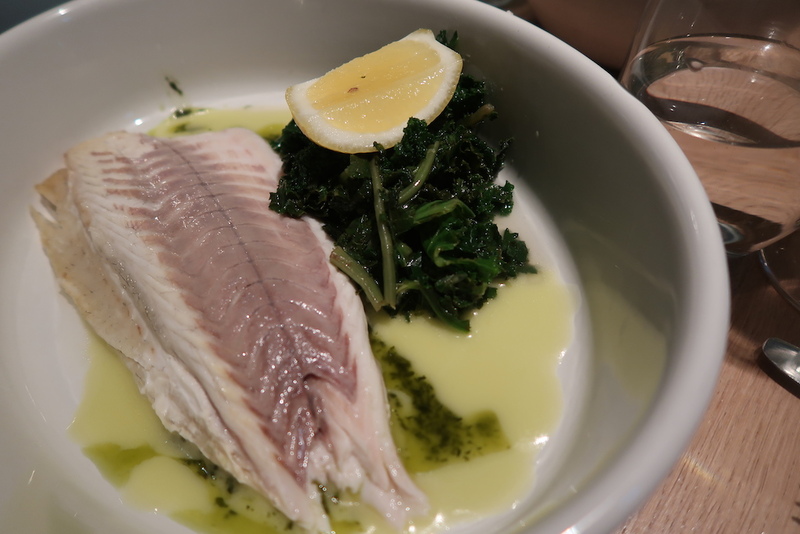 The crowning accomplishment was an epicurean delight – a spectacular flambeed salt-crusted baked seabass (for two): flavoursome, meaty yet delicate and utterly delicious drenched in luscious juices of ouzo, thyme, olive oil and lemon, served with tender, earthy kale. 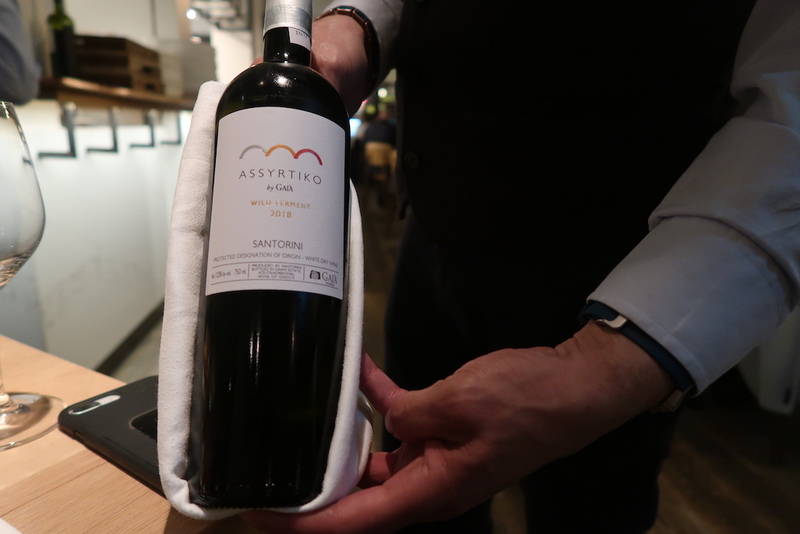 From the splendid wine selection, we enjoyed an excellent bottle of Wild Ferment Assyrtiko, Gaia Wines, from Santorini – a well-balanced white with a sharp mineral freshness, citrus notes and a creamy body. 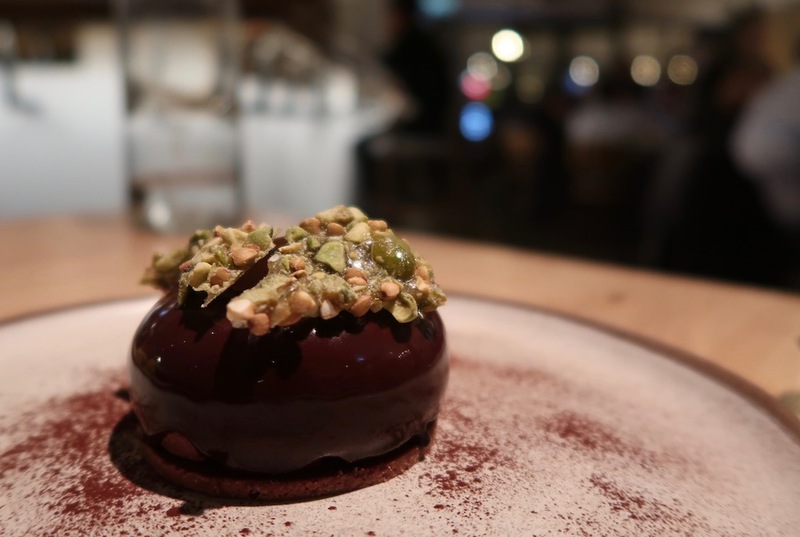 For dessert, we shared divinely gooey orange and honey syrup cake, and a rich Greek coffee cremeux, with Metaxa gel and a sprinkle of crunchy pistachio. These luscious sweets were complemented by a delicious dessert wine, a 2014 Alpha Estate Omega Late harvest, from Macedonia. 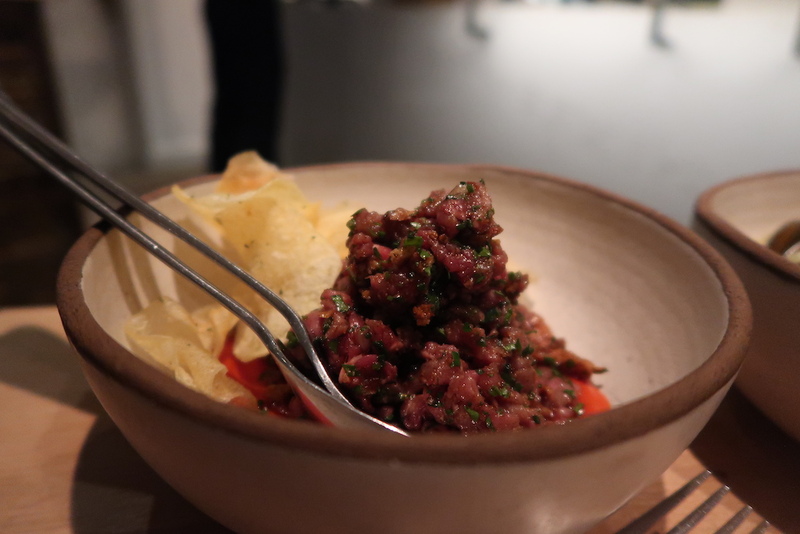 This was a really wonderful, up-market Greek experience with a contemporary twist; simple, fresh food, with flavours reminiscent of the sun-drenched Aegean islands. ‘Meraki’ means doing it with heart and soul, elegant and sophisticated, Mykonos-style. 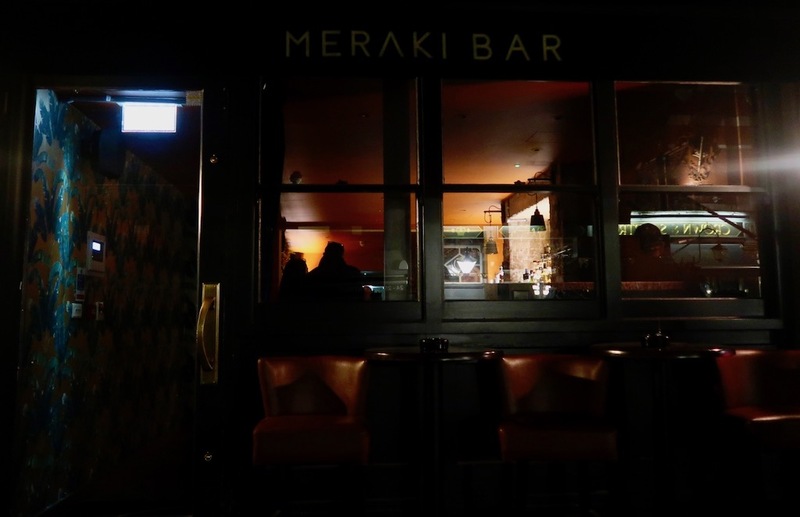 And that’s about right because everything about the Meraki Bar experience – from the cocktails to the clientele, the décor, cuisine, and friendly, discreet service – says ‘passion’. Can you keep the secret?